While there's no shortage of PCP deals around with low monthly payments, these often come with big deposits, so we've found the best deals with the minimal initial outlay. It may be bigger than it has ever been, but the MINI hatch is as desirable and charming as ever and remains a popular choice. The MINI finance calculator allows you to vary the options on PCP deals so you can select zero deposit and includes a dealer contribution, although this isn’t available on all models. Yes, even something as flash as a Range Rover Evoque can be had with zero deposit. The new Evoque is so new it’s only just gone on sale. Even this entry-level D150 manual FWD version (available June this year) is still over £30,000, so although you can start with zero deposit you have to make it up on the monthly. 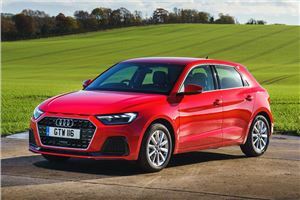 The Focus has been a favourite of UK buyers for decades and the new model introduced at the end of 2018 is a worthy successor. Bigger and more comfortable than before, the latest generation model benefits from lots of new tech and safety systems. Even a model this new can be had with zero deposit on Ford’s Options scheme at zero APR too. It may not be bursting at the seams with character, but the Yaris does a lot of important things very well. Toyota’s flexible finance calculator allows you to drop the deposit down to zero as well as adjust other elements, keeping a zero APR and a reasonable monthly payment. The unique looks of the C3 Aircross make it stand out from the crowd and like many of its recent siblings, the interior is a mix of eye-catching design and sensible practicality. It also follows the current Citroen tack of aiming for comfort rather than sporty handling. Draw up a deal with Citroen and you can lower your deposit to zero while maintaining a good APR rate. Updated in early 2018 with new engines and upgraded materials, the 6 has a broad appeal and makes an attractive alternative to some of the default choices in the segment. Currently Mazda’s finance calculator allows you to choose any of its models with zero deposit. As an alternative to the sporty Germans, the Lexus IS has plenty going for it. For starters, it is exceptionally well-built, with the Lexus range consistently performing well with Honest John readers. The Lexus finance calculator allows you to start with a zero deposit, and although that means a relatively high monthly payment you get a very low APR. There’s so much to love about Skoda’s Citigo, not least that it is generally cheaper to buy than its cousins from Volkswagen and Seat. The Citigo squeezes every last drop of space from its compact silhouette and it will take two adults in the rear on short journeys. Even with the deposit dropped to zero, Skoda’s finance deal keeps the APR the same and the monthly low. The Picanto is one of our favourite small hatchbacks and there are plenty of deals available, so it's worth shopping around to find the best one. Direct from Kia you can drop the deposit down to zero while the monthly payments are then £240.